Founded in 1991 to air non-stop courtroom proceedings, Court TV rose to prominence in the sleazier period of the '90s where numerous trials dominated American news. It would then spend a decade trying to get away from that reputation to feature more documentary-style programming, before finally changing its name to truTV. One of the first attempt to broaden the network's remit was the 1999 rebrand by Lee Hunt Associates that saw the introduction of the thumbprint logo. The project was headed by creative director Bob English and designer Kylie Matulick. In addition to the thumbprint logo, the team also created a series of idents based on still photography, with knives, guns and other crime scene objects for the night-time programming and scales and law books for the courtroom proceedings during the day. Sweden's largest commercial TV channel TV4 streamlined its offerings last year, standardising the logos of its main channels. (Read more about it here.) This streamlining was recently applied to TV4's niche channels for documentaries, films and classic TV, namely TV4 Fakta, TV4 Film and TV4 Guld. These three channels used to have their own identities, with differently shaped logos. Now, they all use the main TV4 logo with simple descriptive text. TV4 has scaled back its investment in niche channels and closed down some underperforming ones recently, and this logo change helps reinforce that strategy. The last weekday of March - here's the logo round-up for February! This includes a huge selection of more than 50 projects from around the world. 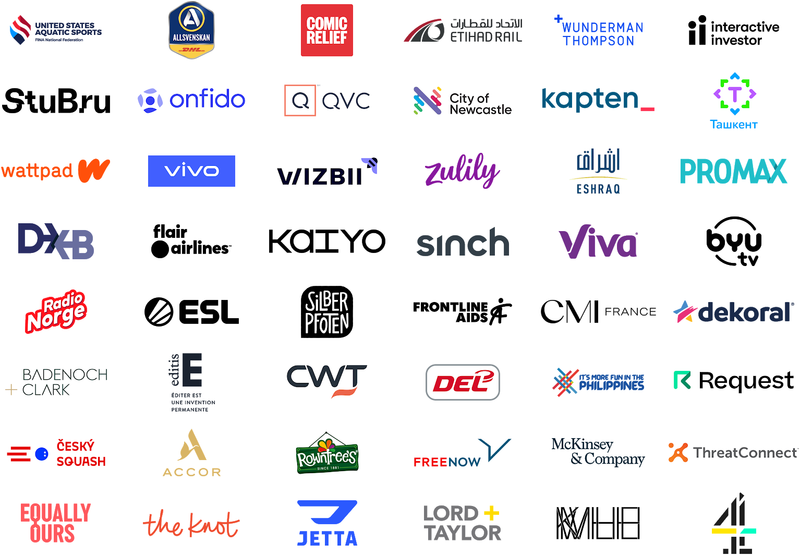 This included another rebrand for the Accor hotel chain, an interesting solution for Channel 4 UK's on-demand service, a new logo for QVC, and many more. Radio Norge is one of Norway's two national commercial radio networks. (The other one is P4, whose rebrand we covered here back in 2014.) In February, the Radio Norge rolled out a new logo. The old logo is a slightly simplified version of the logo used when the network adopted its current name in 2008. It featured a weird shape inspired by traditional Norwegian folk art. The new version goes in a decidedly "cheaper" utilitarian direction with the name in bright red on an angle. It is saved by the execution of related visual elements with clean backgrounds in fresh colours. Academic Work is a Swedish staffing firm, focused on recruiting young professionals. Bakc in November, it launched a new visual identity, developed by Stockholm-based Identity Works. Academic Work has grown since significantly its foundation, starting and acquiring new staffing companies. This necessitated a new identity that could united several companies. Identity Works created a new AW monogram made up of lines that grow in number, "representing the ambition with people working at Academic Work". They also clarified the green colour and developed icons and striped background patterns. Wojo is French service operated by Bouygues Immobilier and Accor that provides flexible shared office space. It was known as Nextdoor until last week, when it launched a new name and identity, created by the agency W.
The new name is a combination of the English words "work" and "mojo". The rebrand aims to position as "the European reference in shared workspaces". Turner Ignite Studios is a new in-house studio from Turner Ignite, the branded content arm of Turner Broadcasting (CNN, TBS, TNT, Adult Swim, truTV etcetera). Back in February it launched its brand identity, created by design and animation company Laundry.